3.What is your minimum order quantity9can I buy sample to test quality firstly9 Answer: Normally our MOQ is 5 sets of each model. It would be no problem for us to provide with one sample, and we still could provide with the inventory items for selection. 4.What's your delivery time9 Answer: for first cooperation, the delivery time maybe a little longer than usual,about 40 days. Please contact with us and make sure what sample do you need. Please contact us to make sure the detailed things before placing order. Q: How about the after-sales service9 A: We will be online all day long. 2. Consummation QC System & High-quality Staff Makes it Possible to Offer You Reliable Quality. 4. How long dose it take to finish my order9 Answer: It depends on your quantity and complexity of your cabinet. Consummation QC system makes it possible to offer you reliable quality. 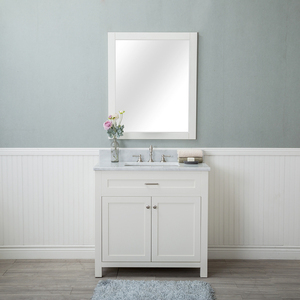 6 YRS Foshan City Aishibao Sanitary Ware Co., Ltd.
G91012 Marble Table Top Bathroom Vanity Wooden Antique Cabinet For Bathroom With Sink Specification: Bathroom Cabinet Antique Model No. 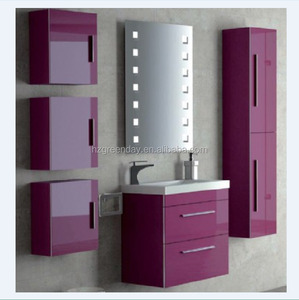 It aims to make the high quality bathroom cabinet. All the products are made of Thailand oak and American oak . 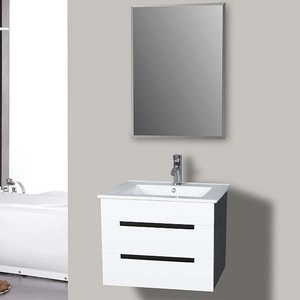 Cheap Classic Wooden Furniture Design Bathroom Mirrored Corner Cabinet Freestanding bathroom furniture to give your bathroom a relaxed, yet coordinated look Pristine white with clean, simple lines, the bathroom cabinet will provide ample storage space while making a charming addition to your bathroom. 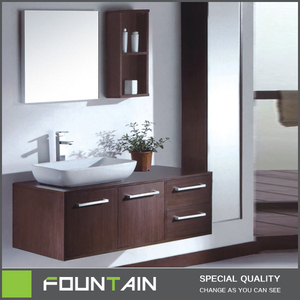 Item Name Cheap Classic Wooden Furniture Design Bathroom Mirrored Corner Cabinet Material particle board, MDF,MFC, core,etc Formaldehyde level E1, E2,P1,P2 etc Finish melamine paper,PU paper,veneer,NC painting,PU Painting,etc Color Beech,Black Ash,Chocolate,Espresso,Walnut,Oak,White and so on Size 34 x 15 x 53cm or as custom made Packing Detail KD, plastic bag, polyfoam round, brown carton, 1 set/carton. Sample Time 5-7 days Sample Charge Triple of unit price Delivery Time 30-45 days after receiving deposit or L/C at sigh Payment Terms 30% balance at sight of B/L copy;L/C at sight MOQ 150pcs/color Related Products: Our Order Policy Once you confirm the order and pay the deposit or open the L/C at sight,we will make production sample for you to check quality and construction before mass order production. 1 YRS Zhejiang Aifeiling Import And Export Co., Ltd.
3.What is your minimum order quantity9can I buy sample to test quality firstly9 Answer: Normally our MOQ is 1 set of each model. It is no problem for us to provide with sample, and we still could provide with the inventory items for selection. 4.What's your delivery time9 Answer: for first cooperation, the delivery time maybe a little longer than usual,about 40 days. 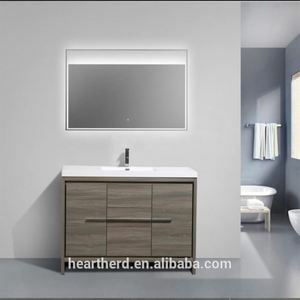 Alibaba.com offers 67,192 import bathroom products. 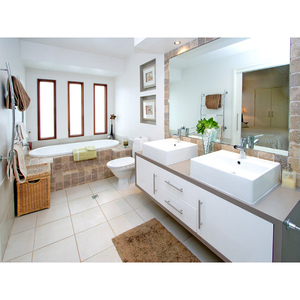 About 4% of these are bathroom vanities, 2% are shower rooms, and 2% are bathroom sinks. 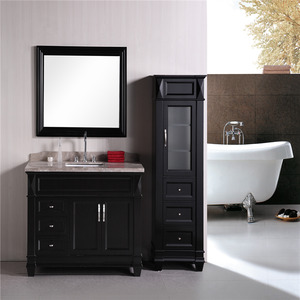 A wide variety of import bathroom options are available to you, such as modern, classic, and antique. You can also choose from plywood, melamine board, and particleboard. As well as from artificial granite, artificial quartz, and ceramic. And whether import bathroom is lacquer, acrylic, or pvc membrane. 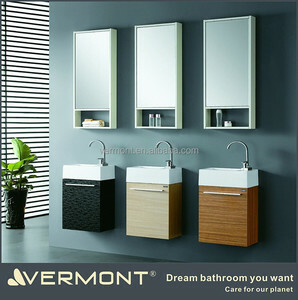 There are 67,192 import bathroom suppliers, mainly located in Asia. 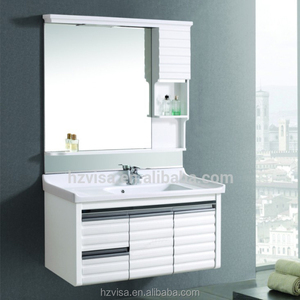 The top supplying country is China (Mainland), which supply 100% of import bathroom respectively. 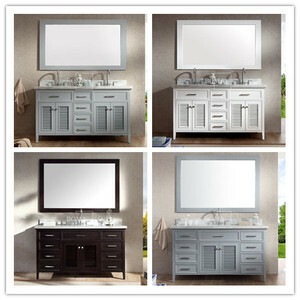 Import bathroom products are most popular in North America, Western Europe, and South America. You can ensure product safety by selecting from certified suppliers, including 8,962 with ISO9001, 8,274 with Other, and 1,059 with BSCI certification.